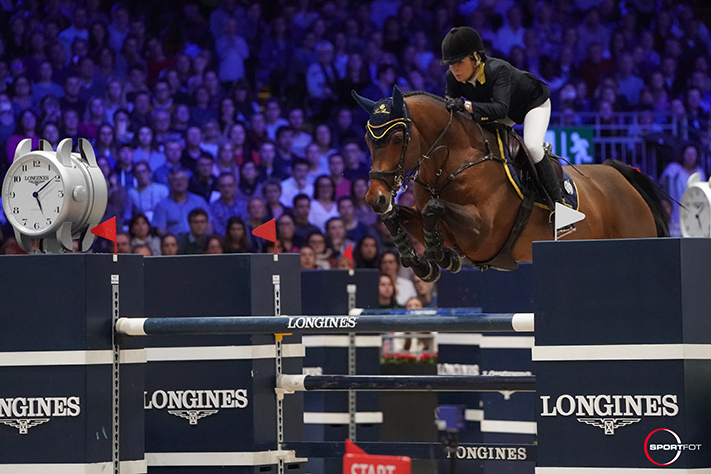 The Longines Masters of Paris conclude with the victory of Edwina Tops-Alexander (AUS) & California in the CSI5* Longines Grand Prix. Over a 7 riders jump-off, she signs the fastest time, followed by her teammate at Stal Tops, Alberto Zorzi (ITA), who was riding Contanga 3. Denis Lynch (IRL) & The Sinner complete the podium. The CSI2* Grand Prix goes to Tony Cadet (FRA) & Tolede de Mescam while Tess Carmichael (GBR) fly to victory in the CSI1* final on Atlantis Pp Z.
Kevin Staut (FRA) & Ayade de Septon*HDC shine in the Longines Speed Challenge as well as the CSI5* 1m50 on the following day. The Riders Masters Cup goes once again to Europe thanks to Eduardo Alvarez Aznar, Edward Levy, Maikel van der Vleuten, Harry Charles & Daniel Deusser.